Please come visit our home and view Japan from the inside. Hello, I am Taro, the owner of Haru Cooking Class. Haruko(born in 2009), Kyoko(born in 2014) and me. caused in the class, as it takes place at our house. I love talking about food and culture. The class may not be as hands-on as some may wish. a much deeper understanding about Japanese food/culture. Thank you. *The class is NOT strict vegetarian; the soup stock is made from fish. You will NOT be eating fish meat, but fish flavor is used. *up to 6 guests per class. *Daikon radish simmered in dashi and sweet miso sauce on top. You will learn essential aspects of Japanese cooking. Cooking 4-5 dishes with ingredients & cooking methods carefully explained. everything else is vegetarian friendly. The main dish is a certified Kobe Beef. I will give a full explanation about Kobe Beef and wagyu. The market is now very busy with tourism. It is no longer the best place to show my guests everyday shopping. I will think of a new activity that is meaningful. I turly appreciate your kind understanding. If you are buying a knife in Japan, please send me an email. and receive a santoku knife in the end. 20,000yen. All inclusive. 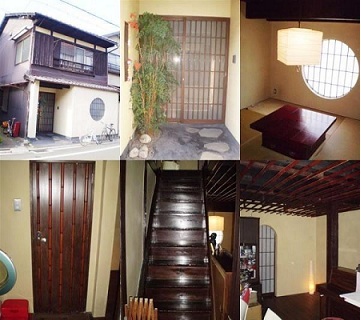 *Easy access by bus from both downtown Kyoto and JR Kyoto station. -Menus are seasonal and are subject to change. -We organize it so it will be a complete meal(1 soup dish, 2-3 side dishes and a main dish). -Duration is approx. 3-4 hours, depending on the number of guests. -We accept reservations 4 months in advance for a non-vegetarian class, 3 months in advance for a vegetarian class. Hello, I am Taro the owner of Haru Cooking Class -Kyoto-. You can learn a lot about Japanese culture by learning about Japanese food. Food plays a big role in our culture. In Haru Cooking Class -Kyoto-, you will cook Japanese home dishes. I am not a chef by profession. Just an ordinary home cook. However, I do my best to show and explain what Japanese people eat normally. I thank everybody who come all the way to Japan. 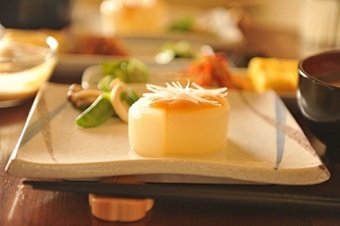 If you have not yet decided what to do in Kyoto, please choose Haru Cooking Class. "I just wanted to enter a Japanese home"
"I just wanted to eat Kobe beef"
"I just wanted to eat good vegetarian food"
"I just wanted to meet Haruko"
Any reason is ok, as long as it leads you to the new experience of a fun Japanese cooking! I look very forward to meeting you! If you have time before the cooking class, here are some of the things to do around my neighborhood! Thank you very much for finding Haru Cooking Class -Kyoto-. We are a tiny cooking class in Kyoto, Japan. We thank everybody who has found our website!